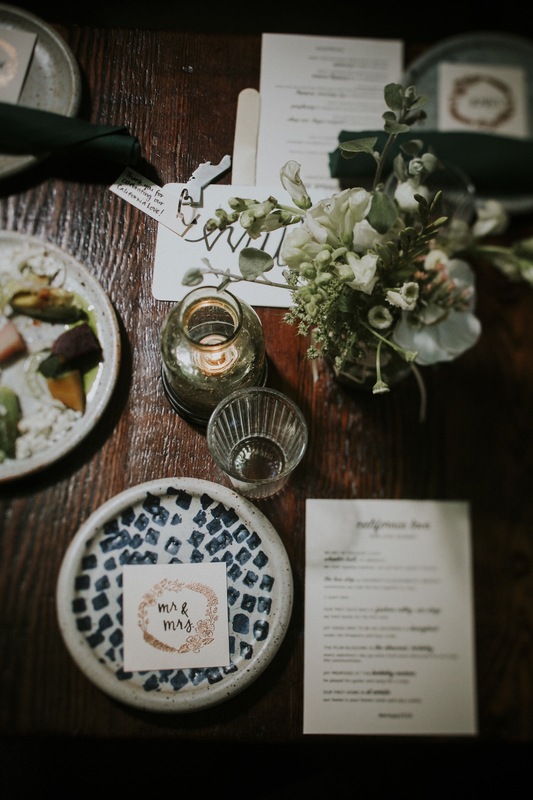 You may have spotted another heat embossing craft in my last wedding post but in case you missed it here it is in all its glory: our wedding place setting name cards! I found the stamp during our Seattle trip. 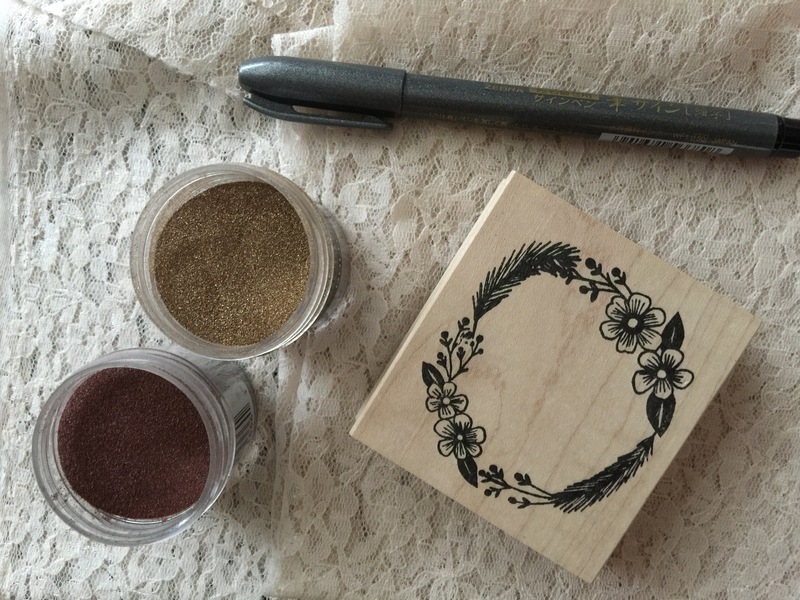 I didn’t know what I was going to use it for when I purchased it, but I knew I would think of a way to incorporate it into our wedding crafts. 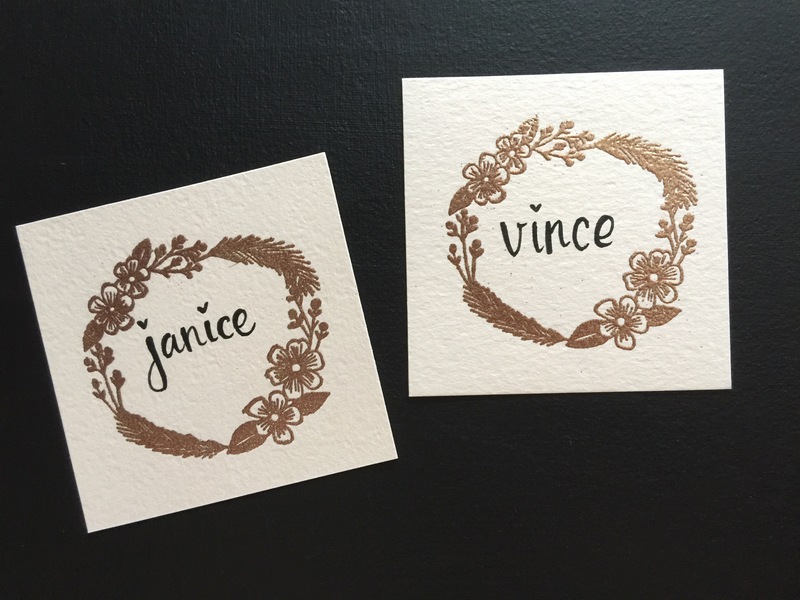 It worked out perfectly for our name cards. 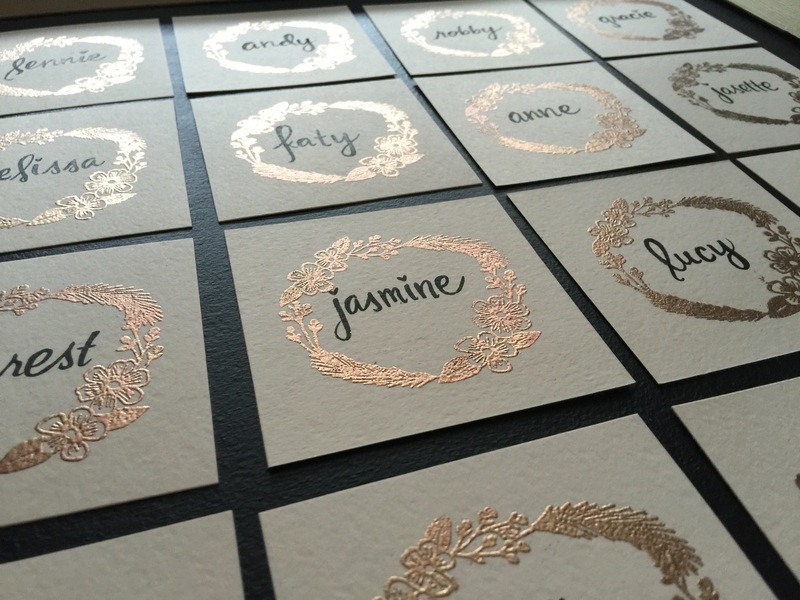 To match our wedding invitations I mixed gold and copper embossing powder and stamped on the same blush paper. 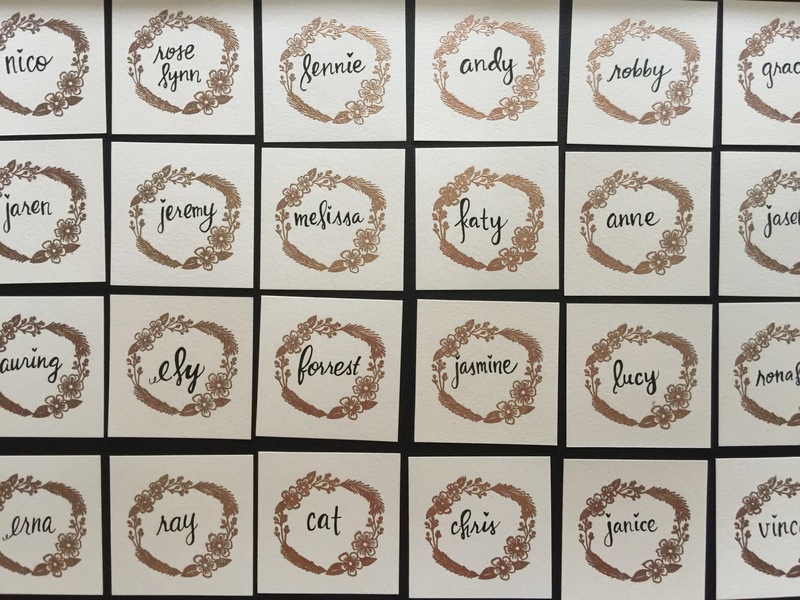 I used my handy brush pen to write our guests’ names. Easy peasy and fancy shmancy at the same time! All together now! And in the wilds! 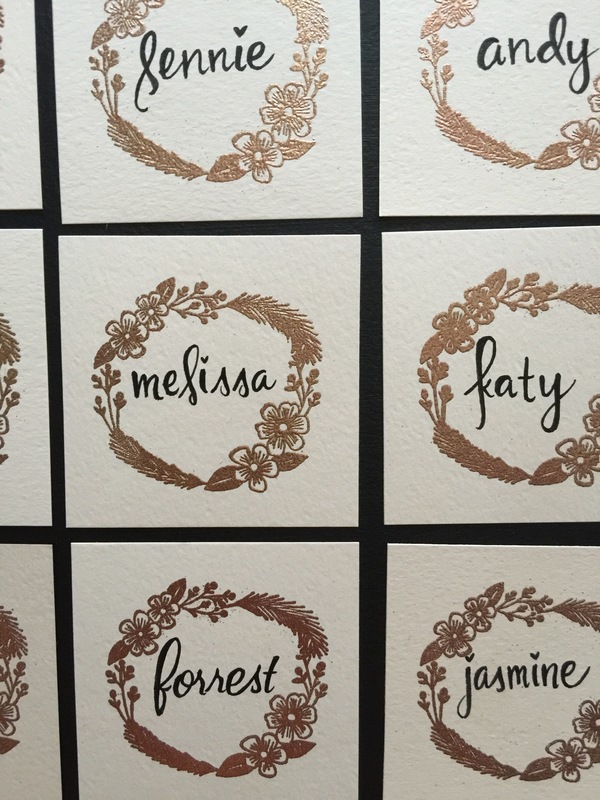 A snap of our name card on our wedding tablescape. I’m pretty sure I need to make more of these soon. Can someone please throw a sit down meal party so I can volunteer my name card writing skillz? 😉 Please and thank you! Previous Postminimoon adventures: eagle falls hike.